View Pacific apartment are close to the exciting shops and boutiques on Cavill Avenue and there is a vast number of cafes, restaurants, bars and nightclubs all within walking distance of the apartments. 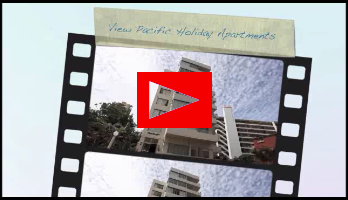 Jupiter Casino and Pacific Fair Shopping Centre are a short drive from the View Pacific. There is a patrolled beach only 50 metres from the apartments and the glamour and excitement of Surfers Paradise is right on your doorstep. Imagine bathing in the Gold Coast sunshine before exploring a mosaic of colorful market umbrellas and tropical palms that shade the outdoor cafes and restaurants along famous Orchid Avenue. Surfers Paradise is a shopper's dream come true. Lose yourself in arcades filled with exclusive boutiques and fascinating stalls. For the kids there is a wealth of options including TimeZone for all their computer gaming needs to a Wax Museum and of course the world famous Beaches! At night, the well-lit streets of Surfers Paradise come to life as sun-worshippers seek out intimate bars, award-winning restaurants and sophisticated nightclubs. Don't worry if you have enjoyed yourself a little too much. You can sleep in tomorrow and recover by the pool.